Changing Fathers. In this episode we will examine what Jesus Christ tells us thru Holy Scripture about our Father. If we are not Born Again then our Father is the Devil and we do the bidding of that Father. There must be a change from darkness to light. There are two kingdoms in front of us. Jesus has paved the way for us to inherit the True Kingdom. Listen and find out. Presented by Dr. Al (Petros) Maeyens Doc. of Div. 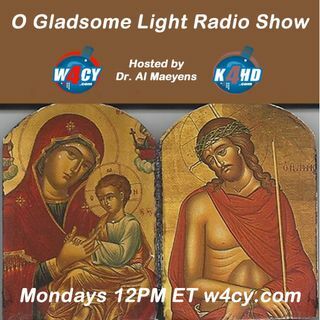 This show is broadcast live on Monday's at 12PM ET on W4CY Radio – ... See More (www.w4cy.com) part of Talk 4 Radio (http://www.talk4radio.com/) on the Talk 4 Media Network (http://www.talk4media.com/).